First let me say that this is not my recipe. It was created by a smart young woman from Penn. 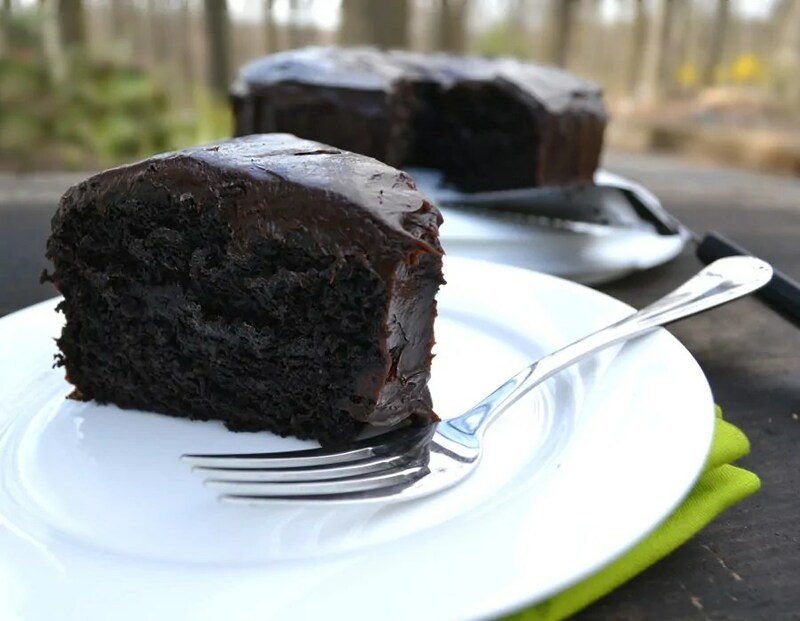 Now let me say that this cake is sooo moist and really delicious! I used xylitol instead of sugar but you can make it exactly like the recipe. I also made a ganache frosting instead of the buttercream because I wanted a dark fudgey frosting. I like her site, she seems to know what she is doing. I do however substitute organic ingredients and also replace sugar with alternatives like coconut sugar and xylitol. Warm the cream till it bubbles then add the chocolate and cover, let sit until it begins to melt. Stir with a whisk until it melts and is creamy. Add the butter/earthbalance whisk in then add the rest of the ingredients. Set aside until it firms up just enough to spread on the cake or pipe from a bag. Adapted from Wholesome Sweeteners recipes.